Caption (left to right): Cllr Cherry Beath, Cabinet Member for Sustainable Development during 2012-13; Katie Smith, Visitor Services Manager; Stephen Clews, Manger of the Roman Baths; Lady Cobham, presenting the Silver Award; and Stephen Bird, Head of Heritage Services for Bath & North East Somerset Council. “This achievement builds on the Roman Baths winning Gold in the South West Tourism Excellence Awards earlier this year and reflects the success of the team’s incredibly hard work. It shows Bath & North East Somerset Council’s continuing commitment to making this nationally important visitor attraction accessible and exciting for everyone to enjoy. I congratulate our Roman Baths team for all their dedication and devotion in going the extra mile to ensure visitors have a really enjoyable. It is an iconic building in a memorable setting. Following several years of major investment, the museum and baths are very well presented and interpreted. Audio guides with a range of commentaries for different age groups, interests and languages are easy to use and informative. Video presentations bring the various areas to life as they would have been in Roman times, with great effect. There are regular free guided tours with knowledgeable staff; and costumed characters entertain around the main bath. The new Roman Baths Kitchen café, opened in May 2012, offers a good range of food throughout the day, with good service, quality furniture and a changing menu. 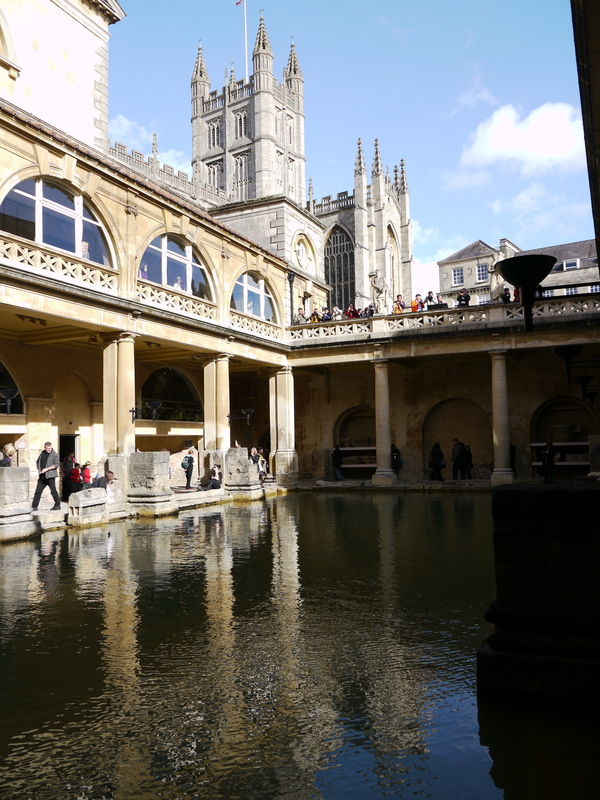 For more information about Bath & North East Somerset Council’s Roman Baths visit www.romanbaths.co.uk or call 01225 477774.